Interested in a little fast-paced, action-filled adventure? Ross Elder is not only highly opinionated about today’s current events. He also writes fiction! Currently available are the first four books, some short stories, some novellas, of a military thriller series titled, The Fireman Saga. They are listed below by release date. Coming soon – The Fireman Saga Compendium, which will place all four of the current Fireman Saga books into one omnibus that will be available in print form as a paperback. 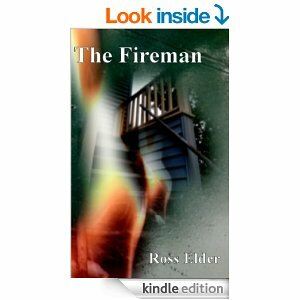 The Fireman is the original short story that launched the thriller series. Inspired by the deteriorating state of many of our communities, this short story takes you along for the ride as Jack Gregory, The Fireman, makes a life altering decision to force change within his community. Filled with action, wit, and insight, this vigilante short story is sure to get you hooked on the series. Find the original Fireman short story HERE – currently only available as an e-book. 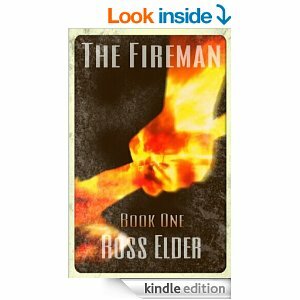 The Fireman – Book One is the first novel in the series but is the second offering. Formatted and written in a traditional format, this book introduces new characters that aid in Jack’s development and takes you along as Jack learns new tricks to improve his vigilante occupation. In Book One, Jack faces his first real nemesis and must find a way to eliminate the threat without revealing his identity to his journalist girlfriend. Find The Fireman Book One HERE – available in both print and kindle versions. 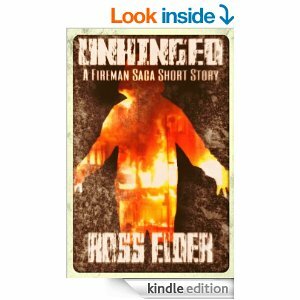 UNHINGED is the third volume in the Fireman Saga series and is presented in a similar, first person, short story format to the original Fireman short. Filled with action, violence, and the wit readers have come to enjoy, UNHINGED quickly became the most popular work in the Fireman Saga library. You can find UNHINGED HERE – currently only available in e-book format. 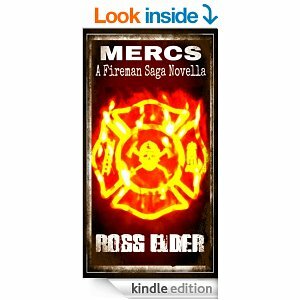 MERCS is the newest volume in the series and is the second novel (novella length). In an odd twist of events, Jack and Dan find themselves in Afghanistan, tracking the whereabouts of a retired Marine’s prodigal son. Laced with insights here and there from Ross Elder’s own experiences in Afghanistan, the story further fleshes out the mysterious character of Dan, Jack’s teacher and partner in vigilante justice. You can find MERCS HERE – currently available in e-book format. ABOUT KINDLE EDITIONS – A Kindle device is NOT required to download and read this particular e-book format. Follow THIS LINK and click on the FREE KINDLE READING APP link. The app can be loaded on a variety of devices, PC, Mac, Smartphone, Tablet, etc., and will allow you to read Kindle books on your device. I use it exclusively as an e-reader on my smartphone, laptop, and PC. I think that what you posted made a bunch of sense. However, think about this, what if you were to create a awesome post title? I mean, I don’t wish to tell you how to run your website, however what if you added a title to maybe get folk’s attention? I mean The Fireman Sage – Fiction by Ross Elder | The Elder Statesman is a little boring. sector do not realize this. You should proceed yoyr writing. I’m confident,you havee a great readers’ base already!